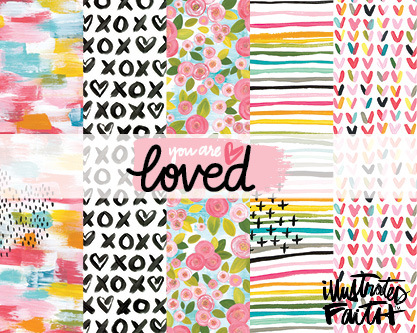 This faith-focused, digital Valentine’s collection is inspired by the love that abounds in the books of the Bible. It features hand-painted patterns and lettering by contributor Stephanie Buice. All products are digital, not physical and for personal use only, no commercial licenses available.